Proposals have been the biggest highlights of a wedding. Today, guys have become inventive and are coming up with creative proposals to express their love for their respective girls. If you are one among them and looking for a unique way to propose your love, why don’t you consider hiring a limo? At Exclusive Limousines, we help you with wedding proposals by renting luxurious limousines at competitive prices. Our staff members assist you with choosing the limo appropriate for the occasion. 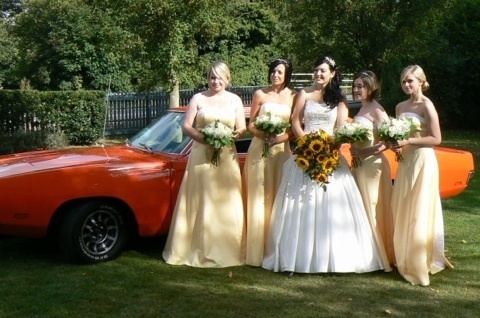 You will definitely get surprised to know how affordable our packages are to hire a limo for wedding proposal. Even our hummers can be the best choice for a great wedding proposal. Exclusive Limos provide a wide range of beautiful limo cars for a romantic day or night leading to the cherished proposal either in the park, in a winery or in a restaurant. Melbourne has numerous places suitable for a romantic getaway. You can employ our hummer hire Melbourne services to take your partner to one of the romantic places and express your love for her. With our limo hire services, you can enjoy the privacy and luxury whilst having a comfortable ride that you and your partner deserve. Your private tour starts with our uniformed chauffeur who can open the doors of the luxury stretched limo whenever you get out and get in to the car. Once you enter the limo, you can lean back and spend some quality time with your better-half. There is no other better way available to surprise your loved one that hiring a stretched limo driven by a fully dressed chauffeur. A private, elegant stretch limousine in an immaculate condition is certainly the best spot for romantic wedding proposal. With excellent lightings and dreamy setting, our luxurious limos are sure to impress your girl by creating a perfect scene that you are yearning for. Our limo hire services are friendly, professional and luxurious. We are happy to help you with planning for an outing with your partner for wedding proposals. We at Limo Hire Melbourne, provide luxurious limo rental services for wedding celebration, birthday parties, anniversaries and school balls. Stay in touch with our welcoming staff members and avail friendly services!